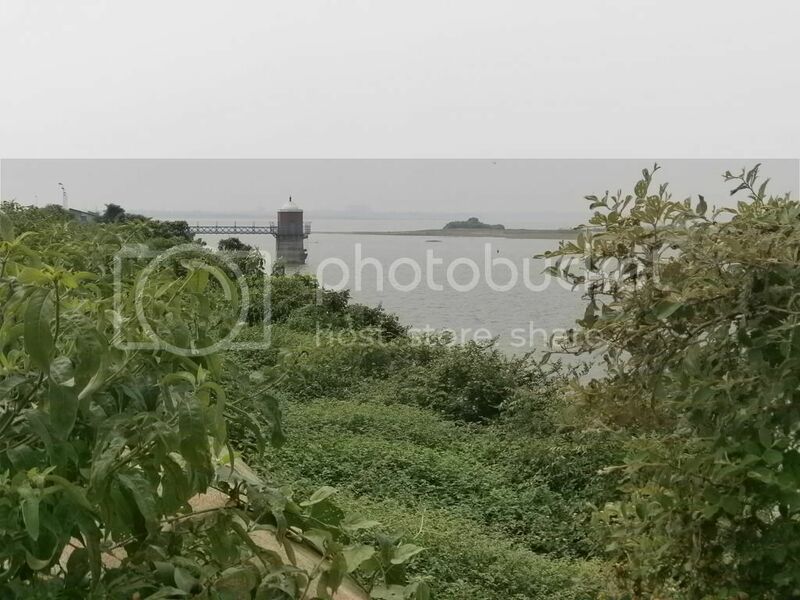 As you can see in the distance, there is a dam that regulates the water flow to the drinking water pipelines to be carried into Chennai (I guess). 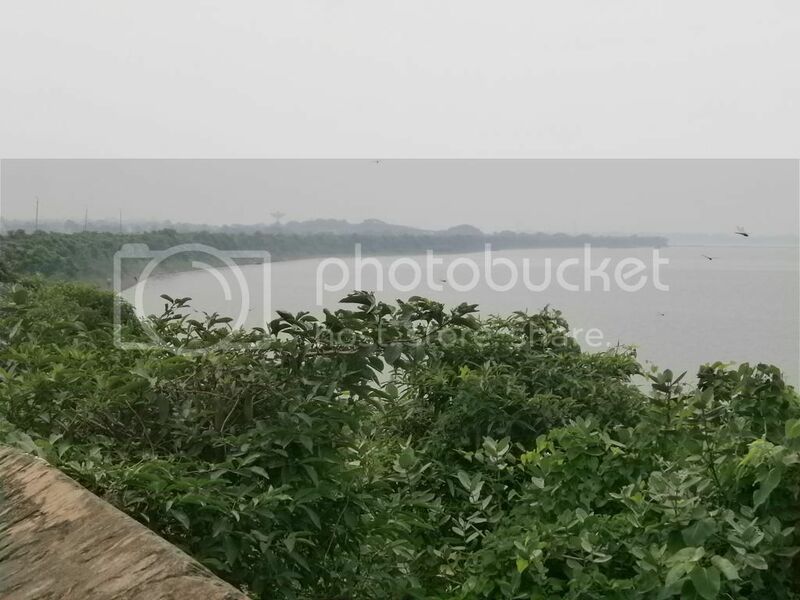 This is one of the three water reservoirs that supplies water for the city of Chennai. I have fond memories of this lake/eri as we could see the lake from the third floor classroom of our college, and that’s what we did to escape the lectures! Coming back to the present, this is the road that runs on an elevated platform on one side of the lake. It stretches to more than a couple of Kilometers and one can drive on it using a bike, which is what I did. Although small cars can also go on this road, the road is in a bad condition and it narrows down at certain points. So I don’t suggest taking your car up there. Also, don’t try to walk the entire stretch – it’s too long! The route is refreshingly green. I found overgrown plants and shrubs almost throughout, which contrasts with the city-view on the other side of the elevated stretch/road. There is a huge man-made structure in the center of the above photo – not sure what it’s for – but it adds to the look of the place. There were a few fishermen fishing in this lake. Can you see one in the above photo? Apart from them, this route is totally secluded. I did find a few other motorists occasionally on my way, but they were too few – four, maybe. So be prepared to be totally alone for a few Kilo Meters if you decide to go. Also make sure your tires are in good condition. How to get there: It’s easy to miss the entrance for this elevated stretch/road on the edge of (a part of) the lake. 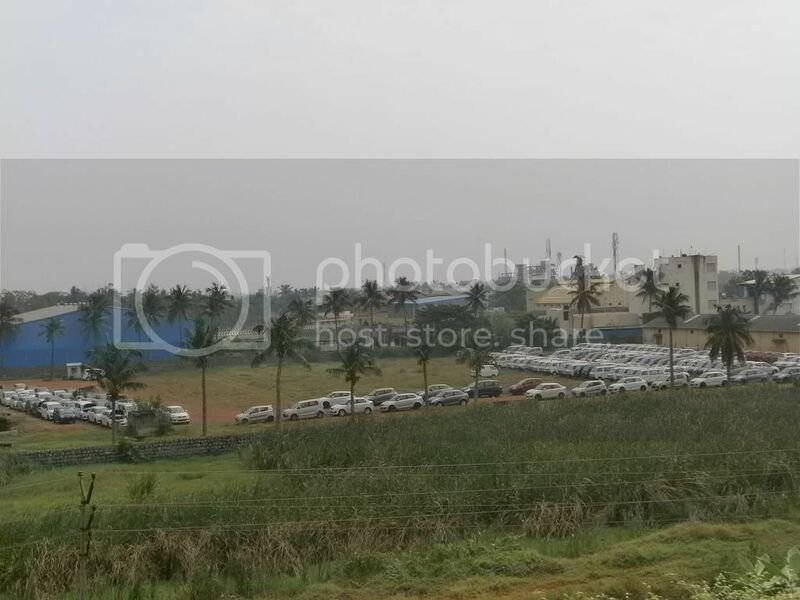 From the Chennai-Nellore Highway, catch the main road on the left that goes into Redhills suburb. While going towards Redhills, there will be an opening on the left where you’ll find a road going up, but in the reverse direction. I missed this road while going, but while coming back, I got it! If you miss it, take a U-Turn once the road moves away from the lake, and you’ll find a road going up on your right hand side. I lived in Madras for 20 years, but never went so far as Red Hills. Every summer I would read about the water level in Red Hills and Chembarambakkam. The greenery and huge mass of water is soothing to the eye that otherwise gets sore in a concrete jungle. Yes, the greenery in the outskirts of the city can surprise you. 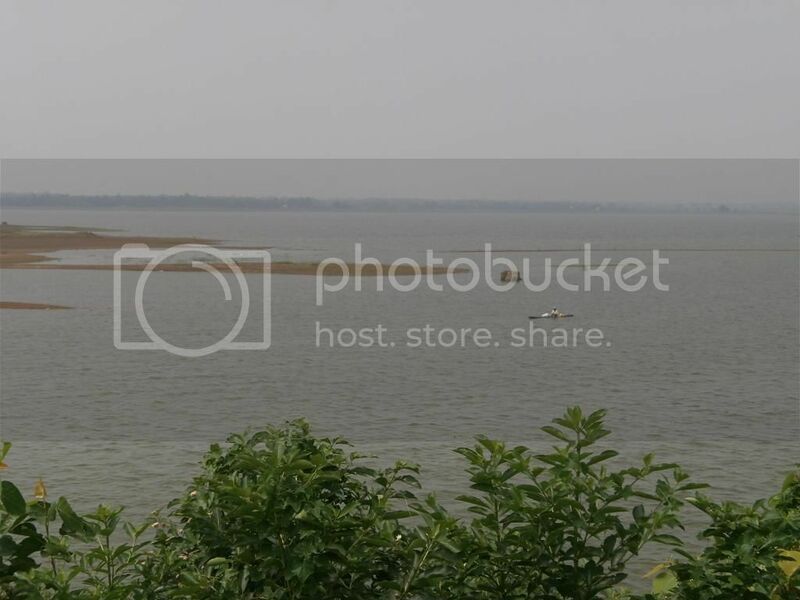 I need to check out Chembarambakkam lake sometime. Thanks for the info and for the beautiful photos. I have heard of Redhills area but never knew there is a lake there. 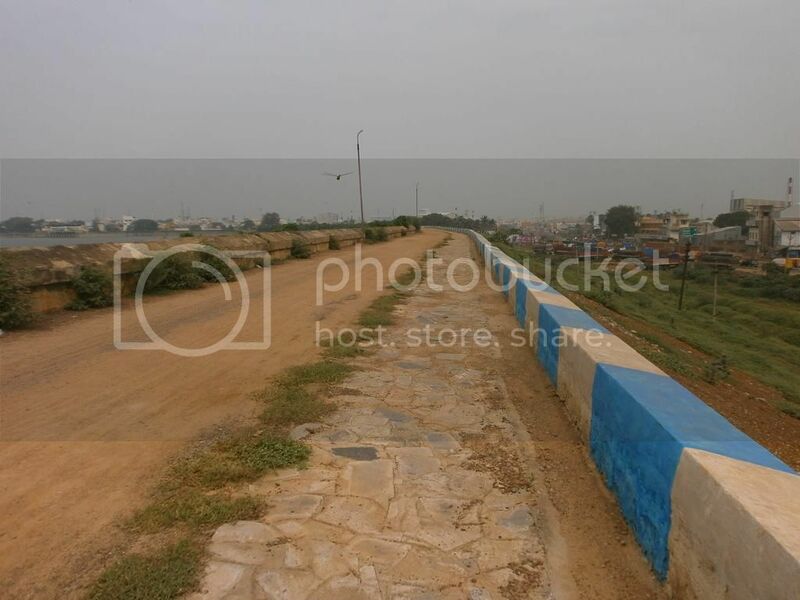 Since I studied in a college nearby, I knew about the Puzhal lake and the road that goes along the lake. Nice photos DI. I think people still don’t know much about this spot,or else hawkers would have made their presence felt! This is exactly what my friend told me before a few minutes. He even asked me not to published blog posts for yet unknown places because in a year it will be full of plastic!! Need to consider this in the future. I have visited Redhill Lake and covered the entire stretch of the road in our car. Actually it is the lake bank that converted into road and the structure that stands into the lake is built to measure water level. 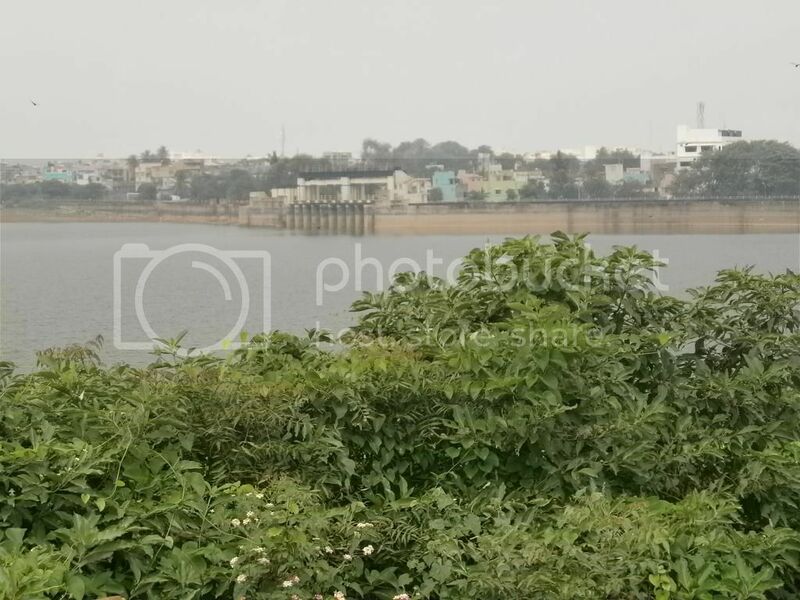 If you visit Chembarambakkam Lake u can see a huge structure like that in four storey for the same purport and water distribution. I find the vegetation around the lake disturbing the view and the cars parked a lot there were all seem quite Maruti manufacturers. Too add information to your post: during British period the Redhills Lake has been used as Airport for water planes to land and takeoff. Wow, there were water planes back then? Why don’t we have them now??? I will try to visit Chembarambakkam lake soon. A quaint little big place and serene too! Thanks for the virtual tour! Oops. I failed at trying the HTML code! 😀 I just wanted to strike the word little! How stunning. You found some amazing sites. Chk it out sometime. It’s far, but the bypass road that leads to Redhills can be accessed from near my house, hence it’s easier for me. Probably we didn’t know we can walk on the periphery. But we could have tried to find out!